but soon he’s forced to say something as she waxes lyrical about the benefits of alternative medicine. Tim’s opinions on psychics, Scooby Doo and the world in general follow. Storm is a fabulous and unique mix of poetry, humour, fact and philosophy, the beautiful art from DC Turner and Tracy King only adding to its impact. The introductions from both Neil Gaiman and Tim Minchin himself give you an enjoyable sneaky peak into the poem’s history and how it came about. 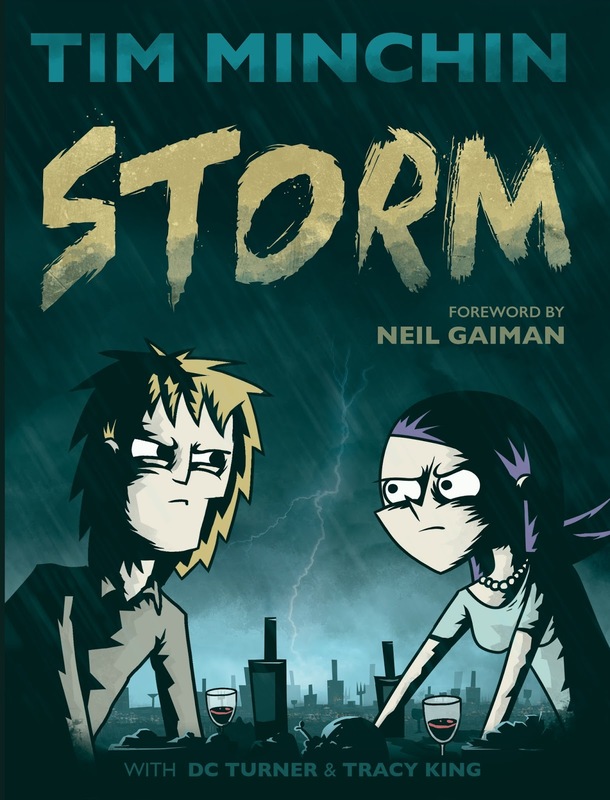 Storm is an absolute must-read for any Tim Minchin fan and I’m sure this graphic novel will only add to his following. Buy Storm by Tim Minchin, DC Turner and Tracy King from Amazon here.